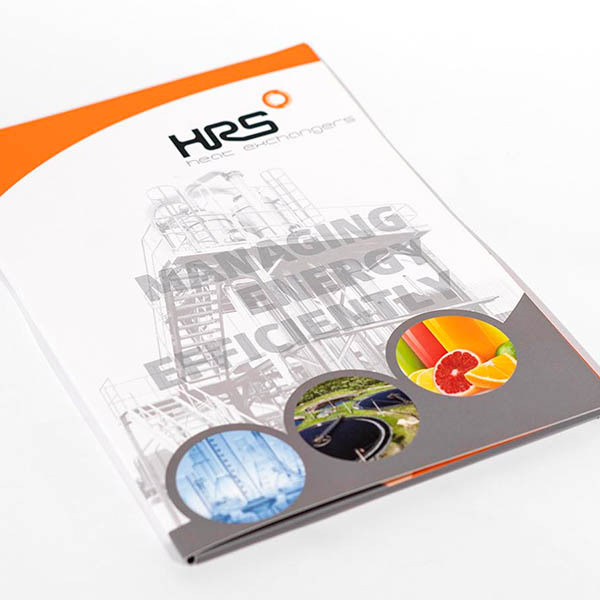 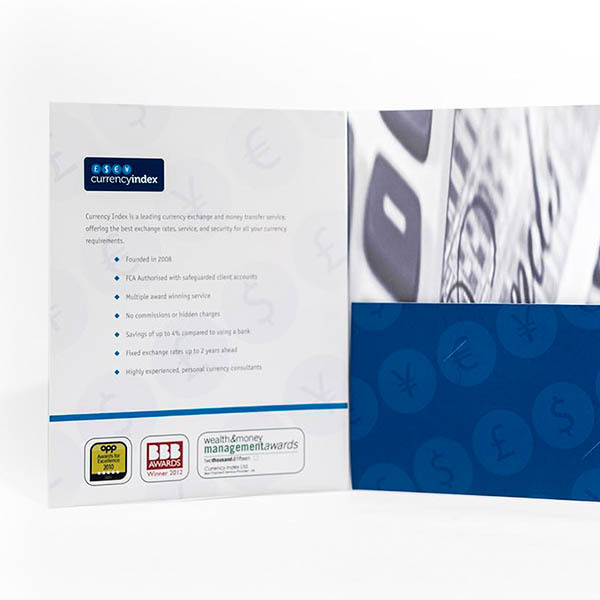 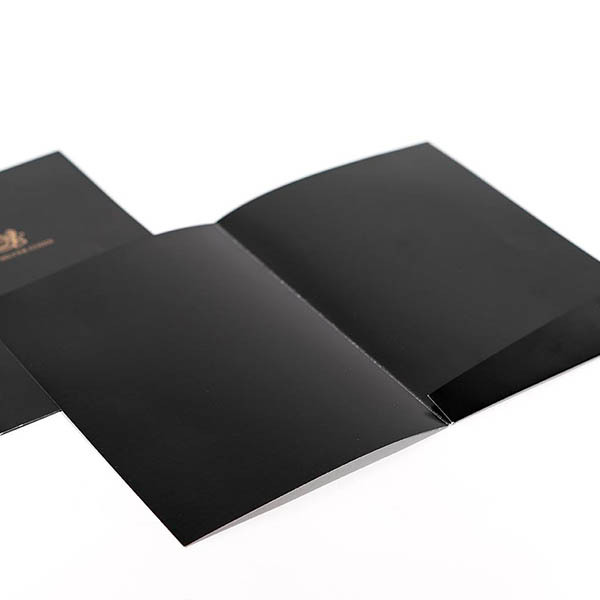 Presentation folders are a fantastic sales tool, allowing the user to customise the content of their folder and present product and service information in a less permanent format than a bound brochure. 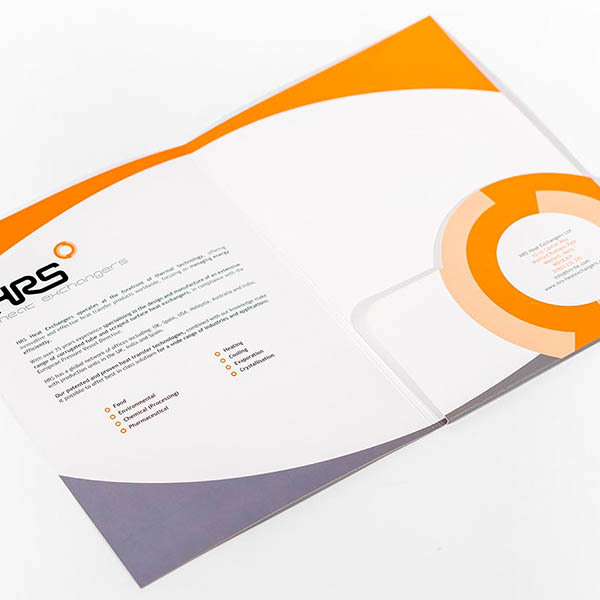 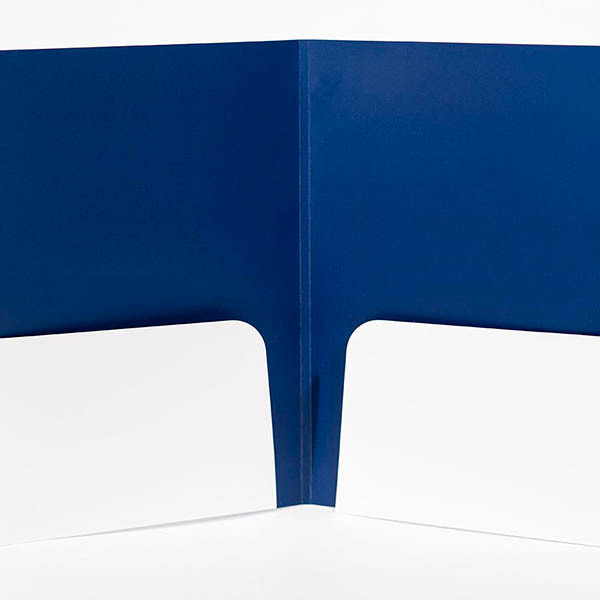 With multiple surfaces, folds and flaps your presentation folder can be information rich and provides a great leave behind, often incorporating business cards or CDs as additional fixtures. 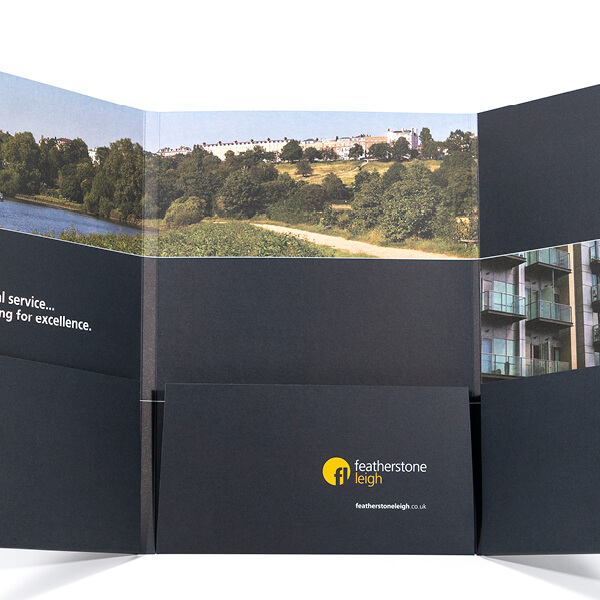 We can create folders to your specification with multiple fold out flaps of different sizes, a cut out window or even die cut the flaps to a specific shape to ensure your product is perfectly on brand and does exactly what its needed for. 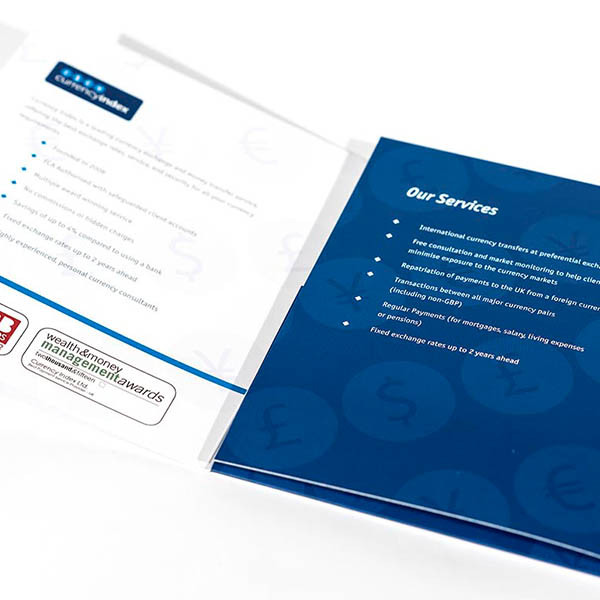 Promote your products and services with a printed brochure. 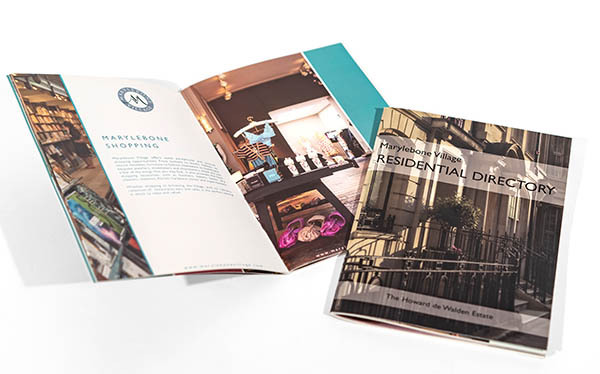 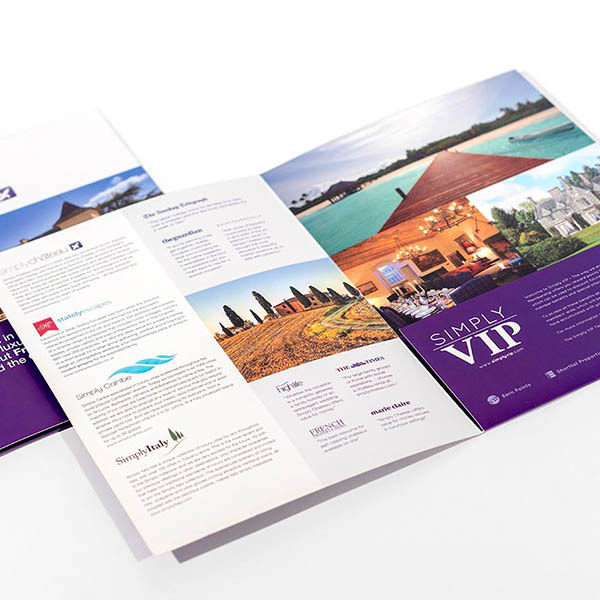 Traditional print is a fantastic way of engaging your audience and brochures have a range of potential uses. 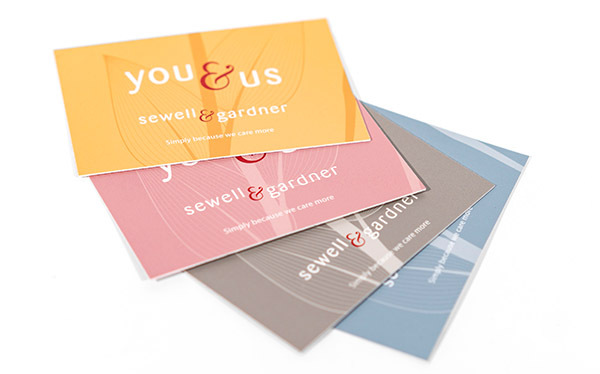 Often the first impression of your brand - a great business card will give someone reason to hold onto it, interact with it and better remember who you are and what you do. 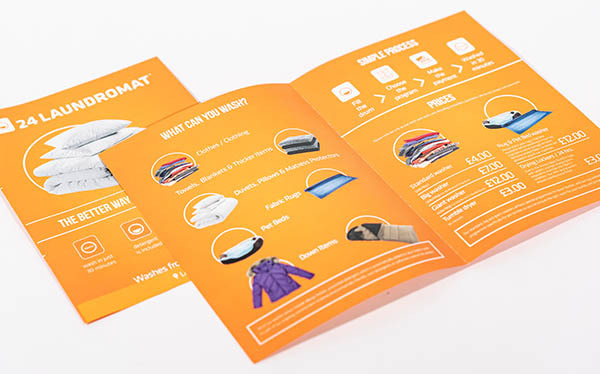 Looking to print a folded map, takeaway menu or small brochure? 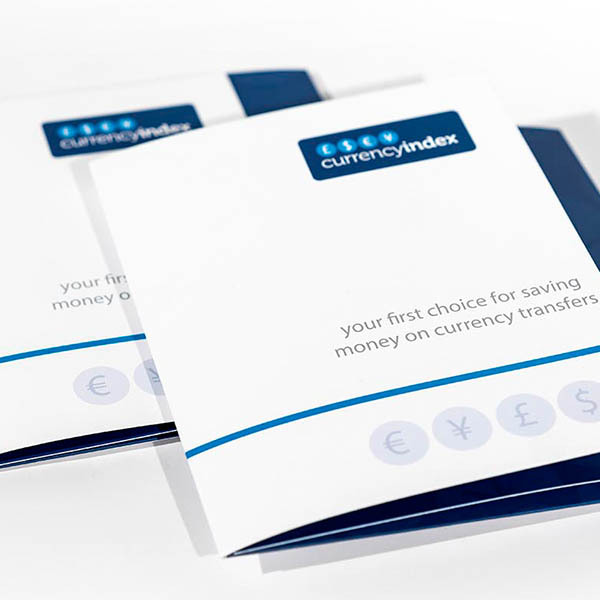 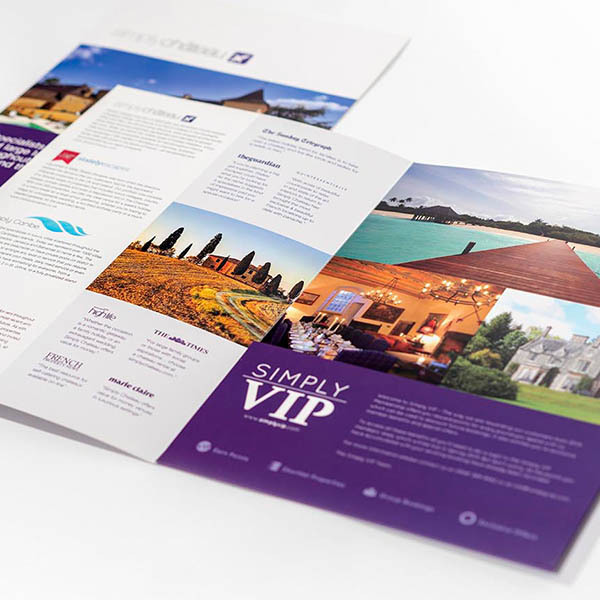 Our leaflets allow you to say more, while delivering your message in an easily distributed format. 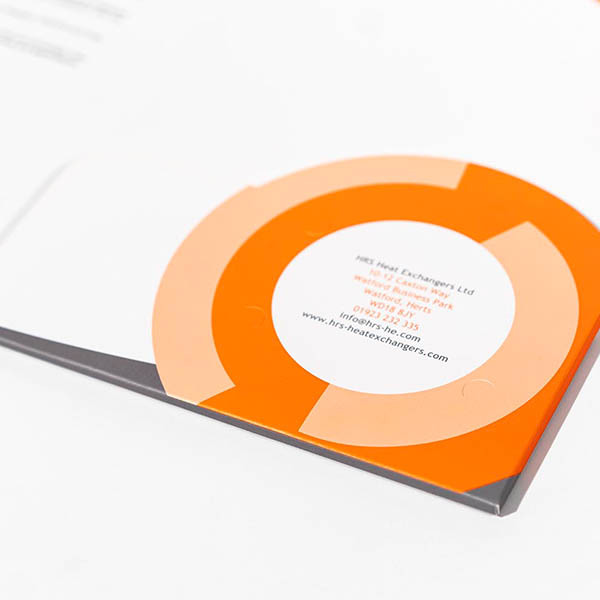 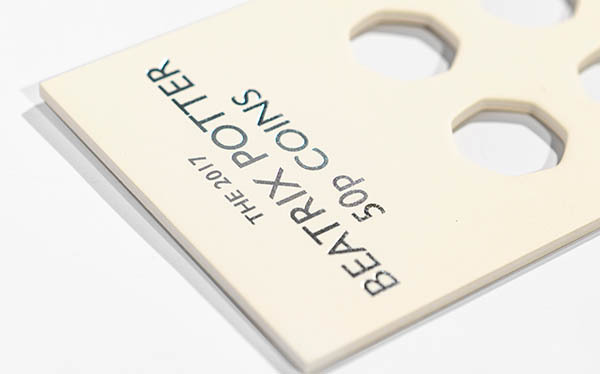 We use a wide range of special print finishes such as embossing, debossing, foiling, die-cutting or varnishing to give products an extra special look and feel.